Today he can walk through an F1 paddock and very few will recognize him. Indeed, in San Marino recently it was son Derek who made the headlines after a spectacular accident in the F3000 race. But none of that bothers Philip Toth Hill as he enters his 75th year. The first American ever to wear the World Championship crown remains what he has always been, an immensely likeable, laconic man relaxed in his own company and devoid of any need to aggrandize himself. Forty years ago this season the Italian Grand Prix yielded the sport's greatest prize to Phil Hill. One afternoon in September 1961, after a battle that he and team-mate Wolfgang von Trips had waged all season, the World Championship surrendered to him. But it was a bitter-sweet victory, for Trips lay dead, the victim of an accident with Jim Clark early in the race. It troubles Hill not at all that recognition these days is usually confined to his native America, and particularly California, where he is still applauded as the great racer that he was and the historic car buff that he remains. For while he is a humorous character the more you get to know him - and, more importantly, the more he relaxes as he gets to know you - he remains fundamentally shy and self-contained. 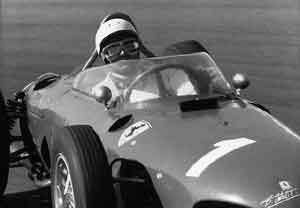 The man who preferred, in his days as a Ferrari driver, La Scala rather than the party life. His life has moved on since the terrible era when the smallest mistake in a race car could demand that the driver pay the highest price. Today he indulges his interest in classic cars, both restoring and driving them. Five years ago he shared an 1897 Panhard in the classic London to Brighton event for veteran cars with Derek, whose own achievements in winning the Ferrari Challenge and the Barber Dodge racing series have quietly made Phil a proud parent. Such cars are way slower than the gorgeous sharknose Ferraris with which Hill and von Trips waged their battle, but though he has lost none of his touch behind the wheel the change of pace causes Hill no problem. He simply loves cars. "I liked the thing, I thought it was fun," he said of the Panhard. "I've done the event five or six times, and I've never experienced an ugly London to Brighton. Provided the weather's okay..."
Trips was one of the few Ferrari drivers of his era who actually owned one of the company's road cars. Hill made do with a Peugeot 403, though his tastes could stretch to the exotic. "Back in 1952 I had a Ferrari 212 Export - 0078E - the one in which Lariviere decapitated himself in at Tertre Rouge during the previous year's Le Mans race. I sold it but drove it again last year at Pebble Beach; it still has a Jaguar MkVII anti-rollbar up front that I put on it. It had a limited slip differential too but one thing I always wanted to try was driving it with that rollbar disconnected. So we took it off, and it was horrible! It wasn't even a question of oversteer and understeer; it was just too rolypoly!" 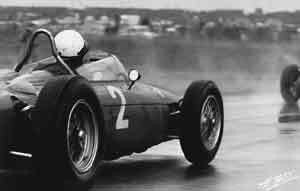 Back then Ferrari did not encourage his drivers to use his products on the road. "I'm not sure I would have wanted to use one, to tell you the truth. That would have put you on the spot everywhere you went..."
The sharknose in which he won his title was every Sixties schoolboy's dream of an F1 car, all elegance, rakish bodywork and low lines. A few years back Hill was unexpectedly reacquainted with one at Goodwood. Deliberately set up to figure out the distinctive shape that lurked beneath a tarpaulin, his curiosity was piqued. "Man, I figured all these had been cut up," he began as he investigated further, until his eyes told him the truth. "It's a replica, right?" he asked, and was told that, yes, it was. It had lovingly been created for rock star Chris Rea's rites of passage movie, La Passione. But how had Phil spotted the fake so quickly, given the amount of effort lavished upon making it as realistic as possible? "That's easy," he chortled. "They never made them that well when they were new!" The Sharknose still has a place in the affections of the man for whom it won the World Championship. 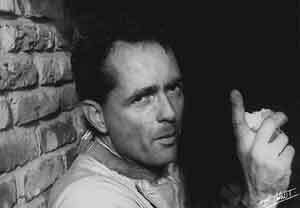 He loved some of Ferrari's Testa Rossa's, too, especially those brutally efficient monsters in which he won Le Mans. The Ford GT40 Mk2 in 7 liter form set Le Mans alight in 1965 in his hands, and also has its place. But when he is required to name his all-time favorite race car, he has no hesitation: "Oh, the Chaparral 2F! That was the best racing car I ever drove, to tell you the truth. Some car." In 1967 Hill and Mike Spence frightened Ferrari, Ford and Porsche in World Sportscar Championship races in America and all across Europe in the slab-sided, 7-liter Chevrolet-powered coupe, with its distinctive high aerofoil. Among other things Hill got it up to fourth place on the tortuous Madonna circuit in Sicily, home of the Targa Florio. His partner, Texan oil magnate Hap Sharp, amused himself waggling the spoiler in its high and low drag positions to entertain the locals, but Hill remembers the Targa for another reason. "What gave me the best memories of that race was running the car on the top of those hills there. So many of the corners were blind, and there were whole bunches of these locals from Palermo who had never seen the thing before, jumping up and down every time we went by. They were just delighted to see this crazy-looking car!" The 2F broke in every race it did, until the inaugural BOAC 500 at Brands Hatch. True to form, a broken driveshaft prevented Hill and Spence from challenging for the pole in practice and they qualified third fastest. They were second soon after the start, but then lost time with a puncture that cost a minute and three-quarters. That was the end of the aggravation, though, as they powered their way back through the field. During one stint, Phil cut two seconds a lap off the Amon/Stewart Ferrari P4 that was leading. In the closing stages the Chaparral moved ahead, and this time there were to be no transmission seal leaks, and no disappointments. Instead the big white coupe scored an enormously popular victory. It was the most revolutionary car of the 1967 season, in the last race for the big-engined prototypes before they became outlawed for 1968. But beneath all that there was a lesser-known subplot. The BOAC 500 would also be Phil Hill's swansong. "The car actually let us down an awful lot," he says, the regret still there in his voice. "And, you know, it was really stupid that those problems couldn't be overcome. Race after race we turned up with the quickest car, only for it to fail. After my thing with Ferrari, and then with Ford, it was very satisfying to have a car like that to challenge them with. But it was just so disappointing when you think of what it could have been. I mean, we coulda slaughtered 'em with that thing... But I guess we shouldn't dwell on that. Maybe we should just remember the positive side." It falls to few drivers to retire from the top step of the podium, but finally the Chararral 2F became a lady and let Hill win that last race in which he ever drove. But at the time he didn't appreciate that his career had ended. Chaparral creator Jim Hall drove his own 2G in the CanAm sportscar series in America and Canada later that year, and for 1968 had intended to run a modified version for Spence. But once again he drove it himself after the quiet Englishman had been killed testing at Indianapolis in May. It dawned on Hill that there was nothing left for him. "With no CanAm drive and the CSI thing on the engine capacity in Europe, it all just sort of faded away," he recalls, "and then I figured it was the right time to quit. "It was absolutely satisfying to win that race at Brands Hatch, especially after all the troubles we'd had that year. And in retrospect, well, there couldn't be a better way to finish a career, could there?" Hill is happy today to be part of the classic car scene, quietly soaking up the atmosphere and the engineering, and to entertain his parties of travelling Americans at the occasional Grand Prix. At Imola he was one of the thousands in the crush to watch Ralf Schumacher on the victory rostrum. It had been just the same at Monza five years earlier, when he watched the fans go crazy as Michael won for Ferrari. It was the place where all those years ago the screams had been for him, yet none of the tifoso appeared to realize that another great champion stood at their jostling elbows. Philip Toth Hill would have been the last to remind them.